Purpose: let different uses to insert / update / view second leg vessel information. 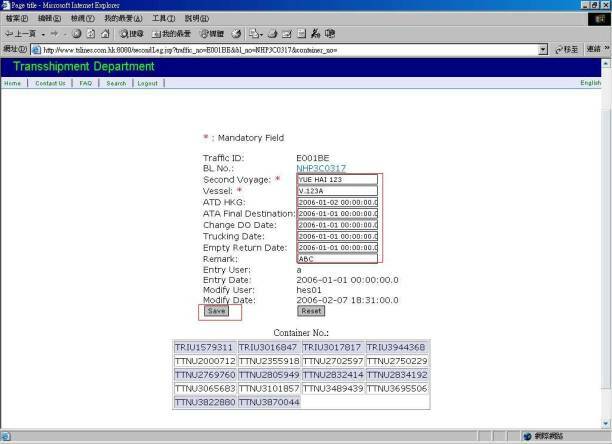 Carrier: read/ edit all feeder/ Trucker info., maintain user accounts. Agent : read all feeder/ Trucker info. 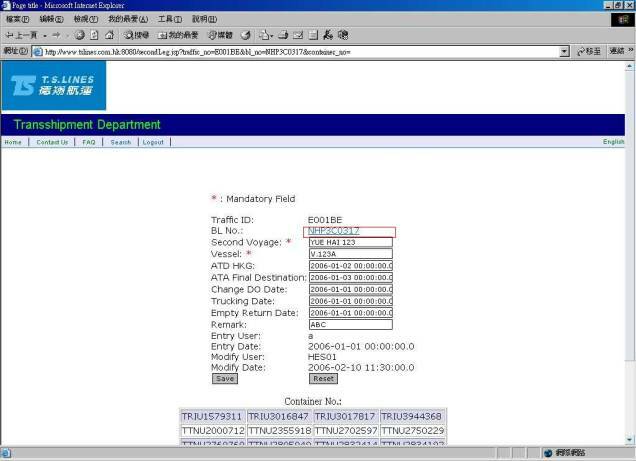 Feeder/ Trucker: read/ edit own info., create their client account to view their data. 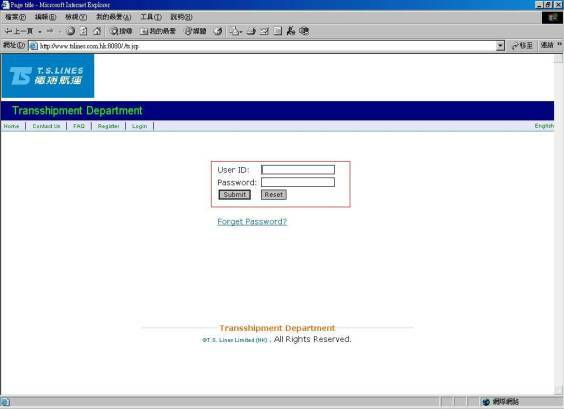 Login Screen: Enter User ID and Password and Click “Submit” button to login system. After Login, enter the Traffic ID / BL No. / Container (at least one criteria) to search corresponding second leg vessel information. After Searching, click a particular BL No. (eg. 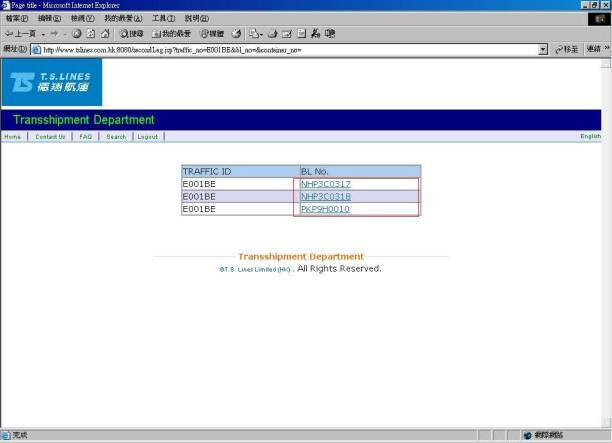 NHP3C0317) to insert / edit / view second leg vessel information. Secound Leg Vessel Infromation Page: insert / edit those necessary information and click “Save” button to save. Please make sure the date formate should be “YYYYMMDD” or “YYYY-MM-DD”. Secound Leg Vessel Infromation Page: or you could click the BL_No. to view the Telex Release No.